This touring international loan exhibition focuses on the Biedermeier period in Central Europe from 1815 to 1830. It brings together for the first time almost 300 outstanding examples of German, Austrian and Czechoslovakian paintings, furniture, related decorative arts and works on paper that document in depth the innovative character of the period and demonstrate how it is a precursor to modernism. This is the first exhibition on the subject in North America and will offer a fresh exploration for European audiences. The term “Biedermeier” is actually the name of a fictional character-Gottlieb Biedermaier-who came to life in the 1840s in a Munich weekly satirical magazine. This “god-loving everyman” represented the typical German citizen, more interested in a comfortable home and a convivial family than political activism. What began as an intellectual critique soon developed into a new model for living. Biedermaier’s name, slightly altered, and his orderly, frugal and simplistic view of the world became synonymous with this period in German culture by the end of the century. The tendency was to pare forms to their essentials, merging the useful with the beautiful. Eighteenth-century gilding and frills were stripped away in favor of the natural beauty of materials and shapes. This exhibition examines Biedermeier painting, furniture and the related decorative arts as a style and a cultural attitude. Paintings of the period-with selections by Georg Friedrich Kersting and Eduard Gaertner-still largely unstudied as a period distinct from Romanticism or the Nazarenes, will be highlighted. The Biedermeier period is long overdue for study and the exhibition will attract considerable international attention. Take the Antenna Audio Tour to explore the world of Biedermeier with the experts Laurie Winters, Curator of European Art at the Milwaukee Art Museum and Christian Witt Doering, expert on Biedermeier and consulting curator for the Neue Galerie in New York. This 40 minute random access tour features a stunning array of furniture, paintings, silver, porcelain, glass, textiles, jewelry and fashion providing you with historical context, interviews by the experts, and samples of period music. Cost $4. The exhibition is organized by the Milwaukee Art Museum in collaboration with the Deutsches Historisches Museum in Berlin and the Albertina in Vienna. It is curated by Laurie Winters, curator of earlier European, in collaboration with a team of international scholars. After its showing in Milwaukee, the exhibition will travel to the Albertina in Vienna, the Deutsches Historisches Museum in Berlin, and the Louvre in Paris. A 360-page catalogue with approximately 300 full-color images and six essays by leading experts in the field is available through the Milwaukee Art Museum Store. Click here to purchase online. Major funding provided by the Argosy Foundation, The Lai Family Foundation and an anonymous donor. Partial support provided by Sotheby’s, the Journal Sentinel, Inc., Rita Bucheit, Ltd., Iliad Antik and Karl Kemp & Assoc., Ltd. Supported by an indemnity from the Federal Council on the Arts and the Humanities. 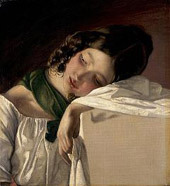 Friedrich von Amerling, Young Girl, 1834. Oil on canvas. Vienna, Private Collection. Eduard Gurk, The Basilica of Mariazell Seen from the Churchyard, 1833. Watercolor. Vienna, Albertina. 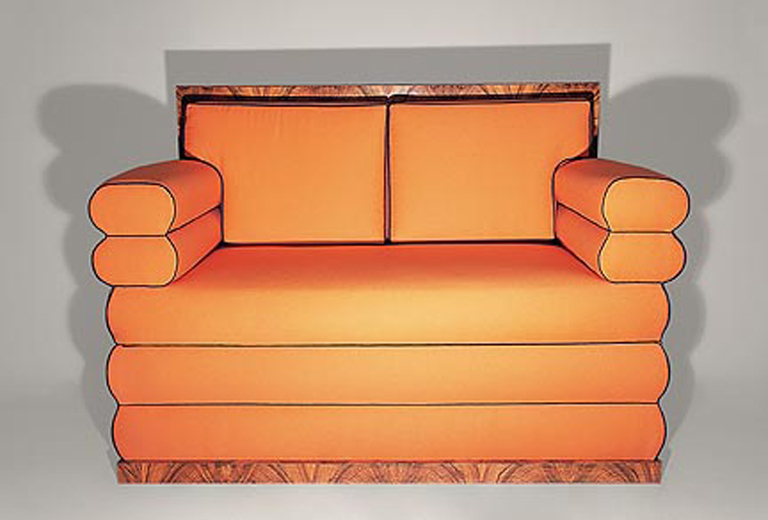 Vienna, Settee, 1825/30. Milwaukee Art Museum, Gift of René von Schleinitz Memorial Fund. Photography by Lois Lammerhuber, Vienna. Berlin, Long Case Clock, ca. 1820. Poplar burr veneer, ebonized pear. Milwaukee Art Museum Gift of René von Schleinitz Memorial Fund, by exchange. Photography by Lois Lammberhuber, Vienna.